Inevitable deterioration due to mechanical tethering is perceived as the natural history for complex congenital spinal lipomas of the conus medullaris region, even if asymptomatic at presentation. The conventional wisdom that prophylactic surgical untethering improves outcome has been challenged recently [1, 2]. This study examines the natural history of asymptomatic un-operated children with lumbosacral lipomas (LSL) and investigates whether predictive factors herald deterioration. 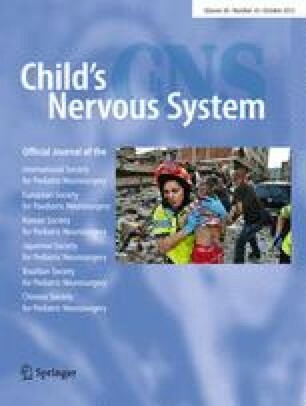 Over the past decade, children presenting with complex LSL to a single clinician at Great Ormond Street Hospital (GOSH), London, UK have undergone a thorough assessment focusing on neurological and urological evaluation and MRI of the lumbosacral spine. For children deemed to be asymptomatic, conservative management has been adopted with close periodic surveillance of neurological and urological function, thus avoiding untethering surgery unless symptomatic deterioration occurs. A retrospective review identified this cohort of children asymptomatic of their LSL and their progress closely recorded. This study suggests that the natural history of this subgroup of dysraphic patients may be more benign than hitherto considered. Conservative management with adoption of a novel surveillance policy and timely intervention only in the presence of symptomatic deterioration resulted in 71 % of this series remaining clinically asymptomatic at mean follow up period of 5.9 years (range, 1.0–19.3 years). At 10 years, the cumulative risk of deterioration determined by the Kaplan–Meier method was 40 %. Children aged <2 years, female, with presence of a transitional type of LSL and associated syrinx were independently associated with a higher risk of deterioration. A comment to this article is available at http://dx.doi.org/10.1007/s00381-012-1808-7.